Artur Malawski, a prominent composer and conductor, graduated from the Kraków Conservatory of Music (studies under J. Chmielewski) with distinction as a violin virtuoso in 1928, and from the Warsaw Conservatory of Music with diplomas in composition (class of Kazimierz Sikorski) and conducting (class of Walerian Bierdiajew) in 1939. Malawski lectured on composition, conducting and theory at the State Higher School of Music in Kraków from 1945 until his death, where his pupils included Penderecki and Schaeffer. He also taught conducting at the State Higher School in Katowice (1950-1954). In addition, Malawski appeared as a conductor of symphony orchestras in concert halls and on the radio. During the years 1948-1951 he was President of the Polish Section of the ISCM. His conducting activities wererestricted largely to his own works as he devoted most of his time and energy to composition. 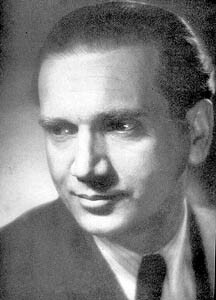 Malawski received numerous awards for his compositions, among them the 1946 Award of the Kraków Voivodeship; the Second Prize at the Chopin Competition for Composers in Warsaw for his Symphonic Variations (1949) and the Third Prize at the same competition for Toccata and Fugue in the Form of Variations; the 1952 State Award of the Third Degree for The Peaks; the 1955 State Award of the Second Degree for teaching and composition activities; the 1955 Festival of Polish Contemporary Music Prize and the Award of the Minister of Culture and Art for Symphonic Studies and for Trio for Piano, Violin and Violoncello; the 1956 Lifetime Achievement Award of the Polish Composers’ Union; the 1956 Order of the Banner of Labor of the Second Degree; and the 1957 Music Award of the City of Kraków for his creative work, especially for his Symphony No. 2.